UK surface care specialist, LTP has launched a new outdoor sealer and restorer for dark natural stone and artificial stone surfaces. New Blackstone has a water-based, impregnating formulation, which restores the appearance of faded limestone, marble, slate and concrete. Like all LTP treatments, the new product is manufactured in the UK and is offered alongside expert advice from LTP’s technical team. Ideal for paths, terraces and external cladding, LTP Blackstone is fast and safe to use and the permanent finish created provides protection against the elements. It can be applied in multiple coats until the desired colour effect is achieved – from grey to ebony. On honed surfaces, it is applied with a cloth or sealant applicator and, on rough cut/textured surfaces, with a foam roller or paintbrush. Surfaces can be walked on four hours after the final application and can be returned to ‘heavy use’ after 24 hours. The simplicity of water-based steam cleaning can be appealing, but repeated use of too much super heated water can lead to risks of residual staining, mobilisation of salts and corrosion of hidden particles of Iron within some limestone surfaces. Steam can penetrate the small cracks and fissures on the surface of the limestone. This does clean the limestone, but will also embed water into the surface. 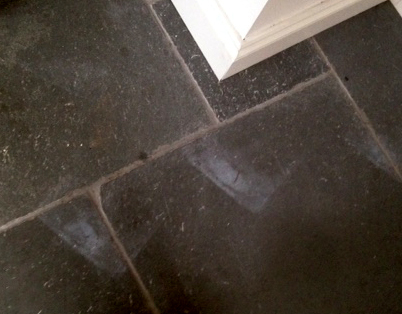 Repeated cleaning using a steam cleaner can activate salts and weaken the stone over time. 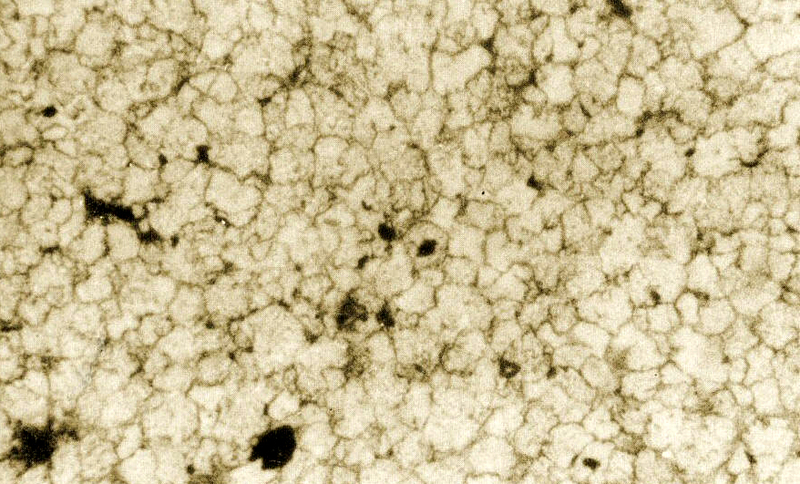 This can also lead to spalling or fragmentation of the surface. Surfaces that have been treated with an impregnating sealers can also be compromised. Steam cleaning does not normally remove the impregnating sealer, however repeated use can expose new fissures and capillaries within the stone. The newly exposed and unsealed surface takes in more dirt and becomes harder to clean, which then requires more frequent cleaning. This increase in cleaning can exacerbate the problem. steam cleaner can cause a partial separation of the seal from the surface of the stone causing it to turn white or opaque. removed or discarded at the point of fabrication by the quarry. Therefore most Iron remains hidden and within the stone rather than on it; however, water from steam cleaning penetrating through natural fissures in the stone can activate or accelerate rusting. cases cause spalling or fragmentation of the surface. common in Limestone’s and marbles that contain naturally occurring mud or calcite veins which are more vulnerable to this issue. 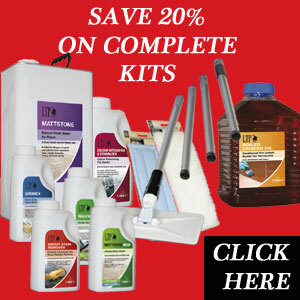 COMPROMISED SEALER: Intensively clean the surface of the stone with LTP Grimex. Leave overnight to dry. Re-apply impregnating sealer – LTP Mattstone or LTP Colour Intensifier. For routine aftercare use LTP Waxwash. This is a PH neutral cleaner that will not damage the stone or compromise the seal. SURFACE SEALER DAMAGE: Remove the Film forming sealer using LTP Grimex or LTP Solvex. Leave overnight to dry. Re-apply the film forming sealer – LTP Ironwax Satin or LTP Ironwax Gloss. For routine aftercare use LTP Floorshine. This gentle cleaner will clean the surface and repair the seal where it has worn from abraision every time the floor is washed. RUST STAINS ON THE SURFACE: Intensively clean the surface of the stone with LTP Power Stripper. Leave overnight to dry.Re-apply impregnating sealer – LTP Mattstone or LTP Colour Intensifier. For routine aftercare use LTP Waxwash. This is a PH neutral cleaner that will not damage the stone or compromise the seal. CRUMBLING OF THE SURFACE: Intensively clean the surface of the stone with LTP Grimex. Leave overnight to dry. Use a suitable resin stone filler of the correct colour to fill in the voids. Re- hone the surface of the stone using a twister pad and sponge down with a little water to remove any dust or sediment. Leave to dry. Re-apply impregnating sealer – LTP Mattstone or LTP Colour Intensifier. For routine aftercare use LTP Waxwash. This is a PH neutral cleaner that will not damage the stone or compromise the seal. This information is offered without guarantee. The material should be used so as to take account of the local conditions and the surfaces to be treated. In case of doubt, the product should be tried out in an inconspicuous area. The huge improvement in digital print technology has, in many ways, compounded this problem. Tile manufacturers have become incredibly good at copying natural materials like marble. As a result, some people might not recognise an authentic material or realise that it needs to be treated differently. Multiple surface finishes may then be maintained with the same general purpose ‘tough on grime’ product, rather than a more gentle pH neutral detergent that would provide a safer – and just as effective – solution. At the property in London, the insurers are still trying to decide who’s responsible and who should pay for the damage caused. It materialised that the marble suppliers didn’t offer any maintenance advice at the point of sale and the installers didn’t give any guidance on aftercare. The architects who commissioned the marble for the client didn’t specify a sealer or provide any care advice – and the cleaners couldn’t have been expected to know the difference between a glazed engineered tile and polished marble. If the correct advice had been given at anystage, the damage might not have happened. LTP’s Mattstone sealer has been short-listed as a finalist in Tomorrow’s Tile & Stone Awards’ Top 20. The annual awards honour the most exciting and innovative products and services that have had the biggest impact on the industry over the past 12 months. The shortlist was chosen from reader nominations and editor’s picks, and winners will be announced following a public vote early next year. LTP Mattstone has been part of the LTP range for over 25 years and has quietly established itself as a run-away best seller. This great British ‘stain and Brexit-proof’ product, which is manufactured in the West Country, is renowned for its quality, performance and ease of application, protecting natural and artificial stone and other surfaces at extremely competitive prices. The impregnating sealer protects surfaces from staining and strongly repels water, oil and grease. It’s available in a water-based and traditional solvent formulation and can be used inside and outdoors. Mattstone has a natural finish and it allows surfaces to breath, so it can be used on floors with no damp proof course. 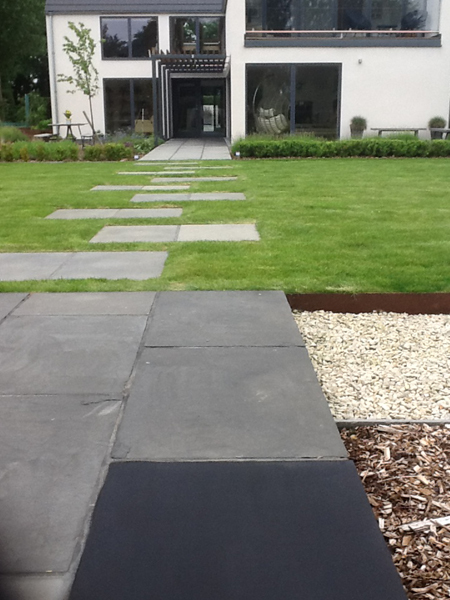 Water-based Mattstone can also be applied over residual moisture and offers an eco-friendly, low-odour option. After a remarkable 50 years in the tiling industry, Rex Walker will be retiring at the end of the year. For the last 12 years, Rex has been part of LTP’s sales team, which he joined after he ‘officially’ retired from Marlborough Tiles in 2007. Rex’s immense professionalism, reliability and energy have shaped his career; he will be greatly missed by his friends and colleagues, who truly value his enormous contribution in the industry. Rex grew up in Horsham, West Sussex, and his tiling career started in 1969 with Pilkington Tiles, as Sales Representative. In 1977, he joined Royal Dutch Sphinx, where he rose from Sales Executive to National Sales Manager. During this time, Rex led the sales force and expanded the firm’s UK distribution network. He later worked with major DIY chains and established Sphinx’s Specification Division, with an emphasis on developers. Rex was then head-hunted by Bellegrove Ceramics plc, which he joined as National Business Development Manager and proudly established the firm’s housebuilder segment from scratch. In 1996, Rex joined Marlborough Tiles as National Contracts Manager and set up its housebuilder division. He later took on the role of National Sales Manager, overseeing the sales force and working with the retail supply chain, along with national housebuilders. During his time at LTP, Rex not only nurtured and grew existing customer relationships, but also secured new account opportunities on a regular basis. And, despite taking on the LTP agency for London and the South East as a ‘retirement job’, Rex worked tirelessly and methodically with the stamina and energy of someone at least half his age. A keen jazz enthusiast and sportsman, Rex plans to take it easy for a while, listen to more music and enjoy more time with his grandchildren. Natural stone surfaces are a popular choice for pool surrounds but if they’re not correctly maintained, they can quickly create a slip hazard. This is rarely the fault of the stone. Most materials specified for pool sides have good slip qualities, with a textured surface that provides grip under foot. 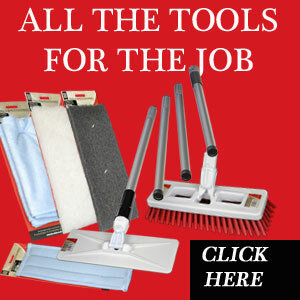 Problems are caused by a build-up of residue and a poor cleaning regime, which fails to remove them. Swimming pools, and leisure environments in general, come in contact with a host of organic contaminants – from food, cosmetics and sun creams, to environmental contaminants like microscopic algae spores and bird droppings. During maintenance, it’s not uncommon for surfaces to be washed with a detergent and rinsed with pool water, which re-contaminates the surface. Many detergents also fail to break down the residue and a cycle of poor cleaning and residue build-up is created. In order to remove organic-type residue, you’ll need to use an alkaline-based cleaner. 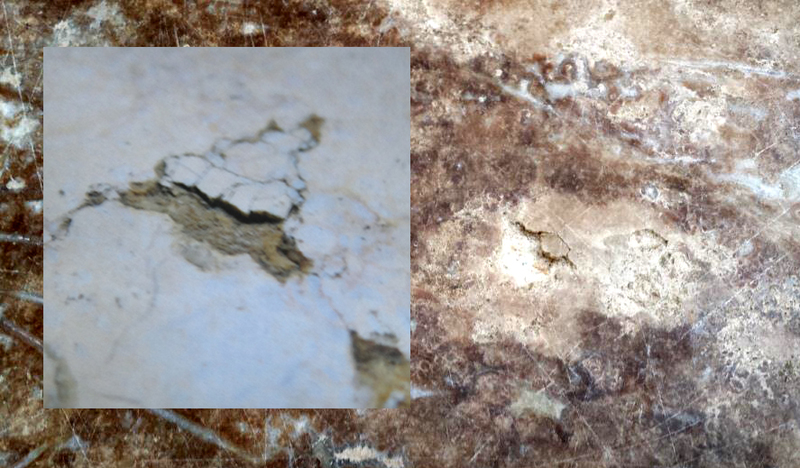 LTP Grimex is a great option as it will break down these deposits, without damaging the natural stone surface. For general use, Grimex is diluted 1:5 with water, but a lower dilution of 1:3 may be needed for very dirty pool surrounds. The cleaner is applied with a sponge or water brush and should be left to act until the dirt releases – this will normally take between 5 and 30 minutes. The stone should then be thoroughly rinsed with clean water to neutralize the surface. Scrubber machines can also be used, where suitable. Another really good option is LTP Mouldex Paving Cleaner. Like Grimex, it is also an alkaline-based cleaner and it’s especially useful where there’s a greater build-up of environment contaminants, like mould, black spot, lichen, fungus and algae. It’s applied directly to the stone surface, left to act and should then be thoroughly rinsed with clean water. As well as removing residue, Mouldex also has an antibacterial and bleaching action, so it helps prevent regrowth and restores light-toned paving to its original colour. During a deep clean, any limescale residue should also be removed; limescale quickly builds up in wet environments, especially in hard-water areas, and is a magnet for dirt. If the surface is acid-resistant, an acid-based cleaner like LTP Grout Stain Remover can be used. Limescale has a similar composition to cementitious grout, so the treatment will remove new deposits, as well as any old installation residues. LTP Grout Stain Remover is diluted according to build-up, applied with a cloth or sponge and the surface should then be thoroughly rinsed with clean water. Straight after an intensive clean is the ideal time to seal the surface, to protect it from stains going forwards. For absorbent stone, LTP External Stone Sealer is a great option; it has an impregnating formulation, so it protects from within, rather than forming a film that could potentially affect anti-slip properties. It’s also water-based so offers a safe application and it can be applied in damp conditions. For ongoing aftercare, choose a ph-neutral, phosphate-free cleaner, like LTP Waxwash, which will protect the stone, the sealant and make ongoing maintenance much easier. Before embarking on a pool deep clean, always check that the solution you’re using is suitable for your surface. And, once the surface is clean, ensure that a regular maintenance regime is adopted to keep residue build-up under control and surfaces safe all summer long. LTP Online LTP Online: Cleaning, sealing and maintenance solutions for all types of natural and artificial stone and tiles.